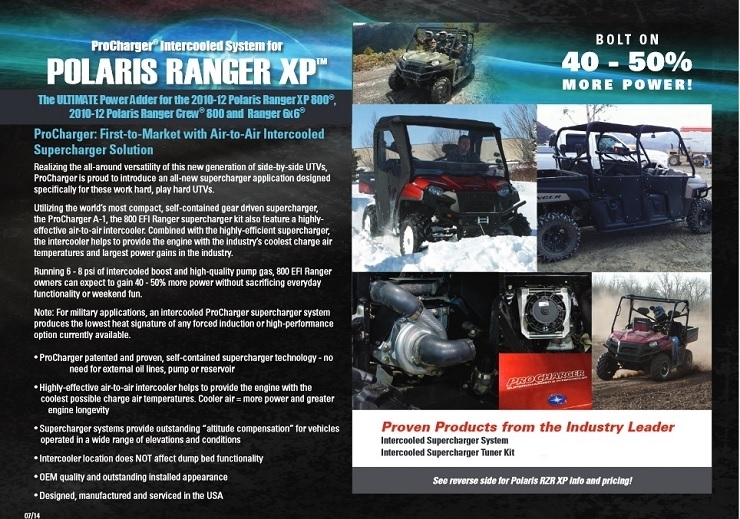 Realizing the all-around versatility and performance potential of an entirely new generation of side-by-side Utility Terrain Vehicle (UTV), ProCharger is proud to introduce intercooled supercharger systems for these work hard, play hard vehicles. 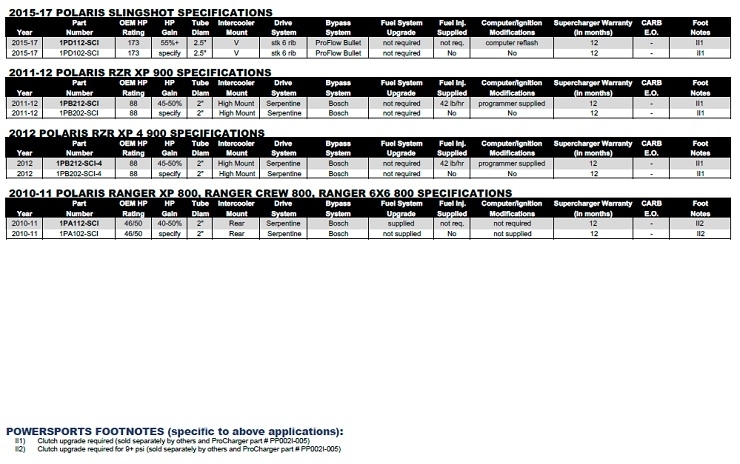 ProCharger’s award-winning intercooled supercharger systems and tuner kits are now available for stock and modified 2010-2011 Ranger XP and Ranger Crew models equipped with the 800 EFI engine. With 6 to 8 psi of intercooled boost, owners can expect to see horsepower gains of 40 to 50 percent on high quality pump gas, without sacrificing everyday functionality or weekend fun. 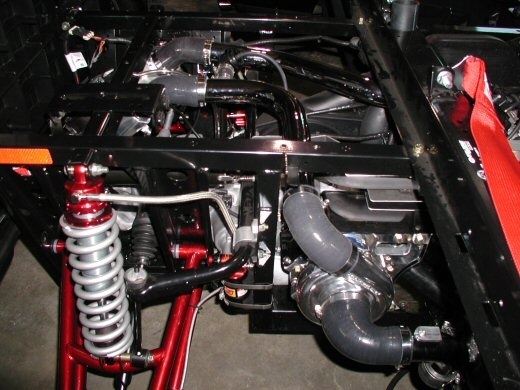 ProCharger's Intercooled Supercharger Systems come complete with the self-contained supercharger, intercooler, fuel system components, all necessary tubing and by-pass valve. Utilizing the world's smallest self-contained, gear-driven supercharger, the ProCharger A-1 supercharger, ProCharger's Ranger supercharger systems also utilize a highly-effective, air-to-air intercooler to further lower charge air temperatures before it enters the engine. Combined with the highly efficient design of the supercharger, ProCharger supercharger systems and tuner kits deliver the industry's coolest charge air temperatures which in turn supports the largest, most reliable power gains in the industry. 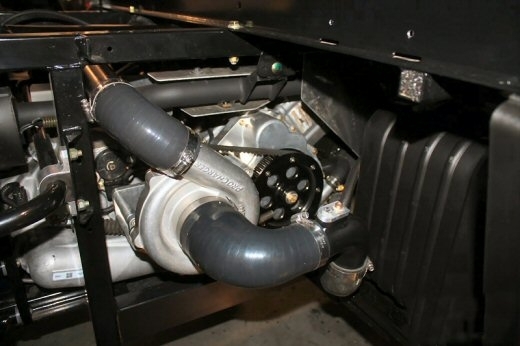 An intercooled ProCharger Supercharger System can dramatically improve a Ranger's acceleration performance. 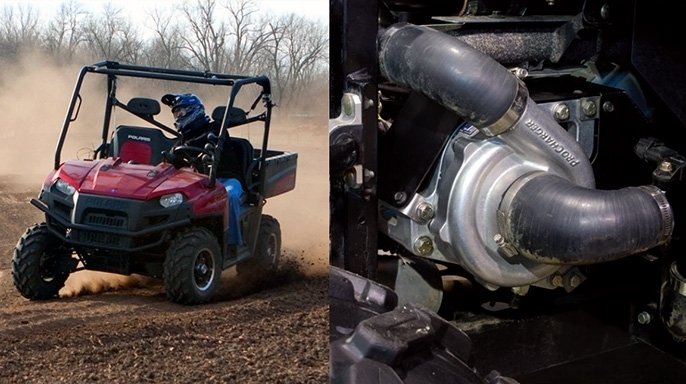 In before and after testing on the same UTV, a ProCharged Polaris Ranger 800 Crew recorded a 0 to 35 mph time of 9.2 seconds, versus 17.0 seconds on it's naturally-aspirated pass. That's a real-world improvement of 7.8 seconds on a 0 to 35 mph run. An intercooled supercharger system provides outstanding "altitude compensation" for vehicles operated in a wide range of elevations and environmental conditions. Because a supercharger creates positive intake pressure, the affects of high-altitude operations will be greatly minimized. When compared with an exhaust-mounted turbocharger, the engine-driven ProCharger supercharger produces a significantly lower heat signature, which is beneficial in both recreational and military applications.